"I got the idea a few months back of a talking glossary of the essential “characters” in Self I-Dentity through Ho’oponopono. You can get acquainted with each of them at your leisure." My foundation, Void and Infinite, is an exact replication of Divine Intelligence. I create Self Identities and Inspirations. I am Super Conscious Mind. I oversee the Conscious and Subconscious Minds. I review and make appropriate changes in the Ho’oponopono petition to Divine Intelligence initiated by the Conscious Mind. I am unaffected by memories replaying in the Subconscious Mind. I have the gift of choice. I can allow incessant memories to dictate experience for the Subconscious Mind and me or I can initiate the release of them through incessant Ho’oponopono. I am the storehouse for all of the accumulated memories from the beginning of creation. I am the place where experiences are experienced as memories replaying or as Inspirations. I am the place where the body and the world reside as memories replaying and as Inspirations. I am the foundation of Self I-Dentity and the Cosmos. I am where Inspirations spring forth from Divine Intelligence, the Infinite. I am Infinite, Divine Intelligence. I am a creation of the Infinite, of Divine Intelligence. I manifest from the Void into the Subconscious Mind. I am experienced as a brand new occurrence. I am a record in the Subconscious Mind of a past experience. When triggered, I replay past experiences. I am a memory replaying a past experience again in the Subconscious Mind. I am the effect of memories replaying or Inspirations in the Subconscious Mind. I am the Operating System. I operate Self I-Dentity with Void, Inspiration and Memory. I am an ancient Hawaiian problem solving process updated for today’s use by Morrnah Nalamaku Simeona, Kahuna Lapa’au, recognized as a Living Treasure of Hawaii in 1983. I am a petition initiated by the Conscious Mind to Divine Intelligence to void memories to re- establish Self I-Dentity. I am the beginning of the Ho’oponopono process initiated by the Conscious Mind as a petition to Divine Intelligence to transmute memories to void. With me, the Conscious Mind acknowledges its responsibility for the memories replaying problems in its Subconscious Mind, having created, accepted and accumulated them. Along with Repentance, I am a petition from the Conscious Mind to Divine Creator to transform memories in the Subconscious Mind to void. Not only is the Conscious Mind sorrowful, it is also asking Divine Intelligence for forgiveness. Divine Intelligence uses me to neutralize and free memories to Void in the Subconscious Mind. I displace Self I-Dentity, precluding the infusion of Inspirations from Divine Intelligence into the Subconscious Mind! Now that the GLOSSARY has been explained, it becomes time to get intimite insights into the life changing principles the glossary has introduced to you. I have found that the glossary / terminology is used so freely and closely in the two books recommended here. As the beautiful principle of Ho'oponopono becomes integrated in your life through understanding, you too will have the "WOW" experience, like I am still having! 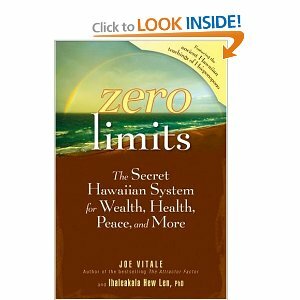 I want to let you know about a great FR*EE resource my friend and colleague, Mabel Katz, has just released to teach you the secrets to a happy and joy-filled life with Ho’oponopono. This is a 4-part Free Ho'oponopono Basics Video Course Ho’oponopono Way, Understanding Ho'oponopono--The Easiest Way to Live The tools are immediate, and you can use them for the rest of your life.Mabel is a world’s foremost authority on the ancient Hawaiian art of Ho’oponopono. She teaches Ho’oponopono in a simplified, practical, and easy way that reminds you that peace starts within and that to “let go and let God” is The Easiest Way to Live. Many of her international followers have said she has changed their lives forever. Mabel Katz’s passion is to awaken our consciousness so we can discover who we are and the power we possess to change our lives - without depending on anyone or anything outside of ourselves. This Free Video Course is for anyone who wants an easier life with more joy. And it is for anyone who ever wished life to be a whole lot easier. The time is now to stop the struggle! Each video is short, fun, and inspiring, so relax, enjoy, and begin to understand how easy it can be - there is no way to make it hard. Learn valuable tools you can use NOW and for the rest of your life. Check it out here. I know you will love it. P.S. Please leave your comments, questions, feedback, and aha’s under the video. P.P.S. At the end of the 4-part Video series, Mabel will let you know how to receive bonuses just for having registered for and watched this Free Video Course.